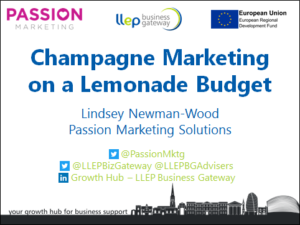 Thank you for attending the workshop ‘Champagne Marketing on a Lemonade Budget’ on Tuesday 4th September. The LLEP Business Gateway host a number of events and workshop. See below for others you, or someone you know, may find of interest.